when i was browsing my facebook. One of my fb friend post his status about his experienced in hospital when he mistakenly entered to a room and saw with his own two eyes, how doctors trying to revived his patient . so, i came out with an idea. lemme share you my experienced in PHG ER as volunteer nurse. i know i haven't had a lot of experienced when it comes to this part.but regardless how short I've been exposed to this experience. i know this things would be an eye opener for me and to other people. when days flies so fast, same the time that i've been staying in PGH in almost hundred hours. Emergency Room, not the place that you want to go. every day there is one person fighting for his life. a battle between life and death. and how could you cope up for this scenario, if you have issue about death. and a serious note to yourself that everyone of us are destined to die. but we die in a different way. could we die in a snap! no pain, but just one click and we end up like reaching the end of the light and the other could possible die in the most painful way. other people die in illness, suffering from their pains, battle for their lives and sudden accident could lead them to the end of the road and that's death. 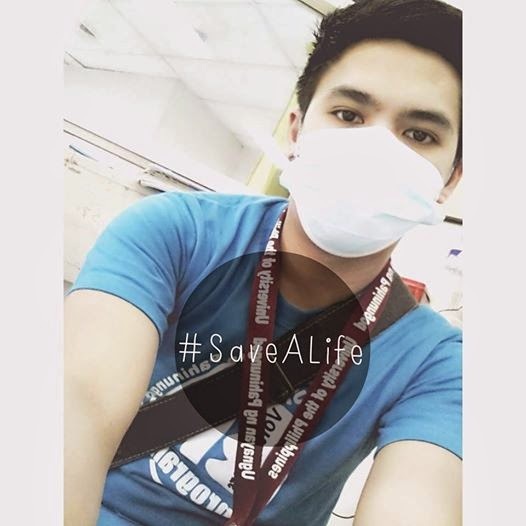 "When I go to PGH every weekends for my duty, i always had a chance to seen a patient suffering from pain. multiple vehicular accident patient who totally messed out. blood all over his face. a big wound slashed to his face. patient who suffers in Coronary Artery Disease (stroke), unconscious patient who tried to assess by resident doctors, they trying to apply pressure on chest bone with full forced, just to know if the patient can response. and a lot more action in actually place. now being here in ER. where i can actually experienced how they save lives. CODE to CPR, ET tube insertions, NGT, IV line, Blood extraction , many times they do the maneuvers, some procedures, and how some pt. came to their end. these things are just a normal routine for them, or should i say for US. Be crazy. Be weird. Don't be afraid of what anybody thinks. Welcome to my world of ramblings as well as my daily life journal. So here you will find post about life,experiences,random ideas and dramas. People's opinions of you does not define who you are. Everyone has different opinions of you. Instead of trying to please everyone else, be happy with who you are. And if someone isn't happy with who you are, that's life. Not everyone is going to like you, accept it and move on. And be the best you, you can be. Random thoughts: paano ba magiging masaya? Layout by mymostloved with script, background and image.